Ontogeny® offers powerful & advanced Business Intelligence (BI) module. For an absolute beginner below description may be overwhelming and so was every important skill that you have today in the past when you started learning it. We have several options available like video tutorials, step-by-step guide to get you started. In addition we will also cover detailed training of the module to ensure you understand and become comfortable in using the module. Usual transactional data appears like a table with rows and columns. BI module allows you to slice and dice data in a manner similar to that found in MS Excel®. It has the power to convert hard to read and difficult to dissect table information into compact and summarized visual reports - making your data analysis far more usable and more effective at addressing your real-time business analysis needs. And just as important, with BI, you can easily change a report's layout visually in order to examine data from different/multiple perspectives. The benefit is that your data analysis is no longer required to be limited by standard reports that are made available to you. With better data analysis you can identify hidden trends and derive insights that can help propel your business to a realm of your dream success. By default, the row and column axes contain each unique value in the source column. With our powerful Pivot Grid, you can quickly simplify a report by merging values. For instance, you might if you are looking at your network marketers data then their age represents an important characteristic. You may not want to browse through each and every unique age of network marketer and instead, want to see the ages of network marketers in intervals such as 21-30, 31-40, etc. Instead of viewing sales by each unique date, you may want to view the sales for just the first few months. Pivot Grid in our BI module gives you that power to arbitrarily query & summarize data by various intervals. BI module automatically displays grand totals for each row and column making analysis easier. 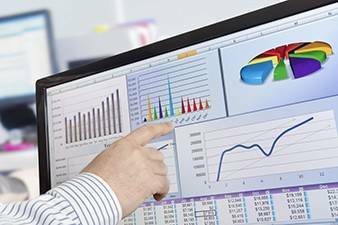 Businesses have unique requirements and no two entities will analyse information in the same exact way. You may want to analyse sales for each product or each product category. You may want to view yearly data, or see it in more detail by viewing the data for each month in a year. Using traditional reporting/database tools, we are forced to create a myriad of different reports in order to deliver the appropriate solution to you - but that's no longer the case with our BI module. Since the module offers you total runtime customization flexibility, not a single report layout needs to be modified to view data at different detail levels. You simply place fields at lower detail levels on the column or row area. Field values are automatically arranged into a tree structure with expandable parents. You are free to expand and collapse child groups to see more summarized or raw reports. BI module automatically sorts row and column values so you can easily locate required data. 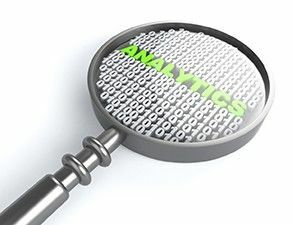 Comprehensive data analysis, however, often requires a two-way approach to data navigation in that you may need to find data by a specific value or find a value by its data. To facilitate the latter approach, we allow the sorting values by their corresponding grand totals. This means the product you'll see first is not the one which starts with an A or Z, but rather the one that has the most or least sales. This of course is just the beginning to more effective and efficient data analysis. You can also specify the number of top rows that are displayed. So, you can view a specific number of best-selling or worst-selling products for each year, month, Business Centre, etc. You can concentrate on only the most important information and avoid being overloaded with a lot of surplus data. As you've probably gathered, our BI module is unrivalled in its feature set and capabilities. You will find that with our built-in visual filtering option, you can manipulate reports on the fly using an easy to understand and familiar visual metaphor. Hide unnecessary values in the axes. Yet another mechanism that allows you to focus only on the most important data. Filter the data against which calculations are based. To allow you to manage this capability visually, our pivot grid offers a Filter Panel Region. This pane was specifically designed to contain fields that aren't currently used in the report, and when required, can be dropped onto the report to automatically alter the base data used in the calculations.